Tackling a bathroom remodeling job can be a daunting task, due to the fact that it involves a lot of household systems and labor skills. 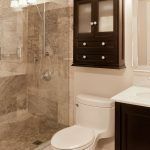 Unlike most other home remodeling jobs, bathroom remodeling requires a highly skilled remodeling contractor who has the experience to take care of any plumbing, flooring, electrical or bathroom tile work. It is a complex job since sometimes the contractor has to deal with rotting subfloor and joists when dealing with a leaky shower. Even a seasoned DIY expert will be under great pressure to complete a bathroom remodeling job in time hence the need to hire professionals to manage this kind of project from start to finish. Most homeowners may be tempted to handle remodeling projects on their own for the obvious reason that DIY remodeling is cheaper. However, the truth is that remodeling your bathroom is not only a complicated project but it can be very stressful as well. It requires experience, expertise and the right tools to get the job done. Working with a professional remodeling contractor in Minnesota will save you time and money and at the end of the day, you will get the bathroom you have always dreamed of. Here are some top reasons why you may need to consider hiring a professional contractor for your bathroom remodeling. Remodeling contractors are highly trained professionals who will be able to help you choose the best bathroom design and materials. They are well versed in the latest style trends and technology and they also have the professional experience to handle any technical aspect of bathroom remodeling in order to deliver high-quality results. A professional contractor will ensure that you end up with the spa-like bathroom that you have always desired. 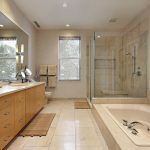 You can reduce the stress of a bathroom remodeling by hiring the right professional who will be able to handle your entire remodeling project alleviating the stress that surrounds this kind of project. Professional remodeling contractors are trained to be courteous, respectful and kind while at their working environment thus they will always be committed to honoring your schedule and delivering high-quality work. 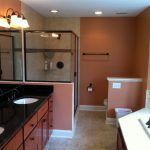 This will also save you a lot of time since you will not spend hours on research trying to educate yourself on how best to handle a bathroom remodeling project. A DIY remodeling project can take a lot of time to complete but a professional contractor will get the job done on time. Considering that a bathroom remodeling project will include plumbing, electrical, waterproofing, tiling, drywall and much more, it means that any small mistake can be extremely costly. Professional contractors have been in the industry for many years hence they know what it takes to successfully complete a bathroom remodeling project. They will also help you to plan your entire project and get your ideas down on paper especially when it comes to choosing the right accessories for your bathroom. As a homeowner, you will want to protect your large investment which requires you to hire a professional contractor who is insured, licensed and certified or even bonded. The insurance ensures that you are protected in case a problem occurs. If you are considering hiring a professional contractor in Minnesota for your next bathroom remodeling project, contact us today and we will help you create a design that best suits your needs and personal style. 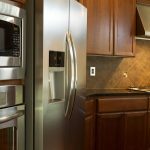 We are a home remodeling company committed to providing the highest value construction services to all our customers in Minnesota.